Alexandre Brongniart was a French zoologist, mineralogist, and chemist who worked with Georges Cuvier studying the geology of the Paris Basin in France. He was the director of the Sevres porcelain factory for 47 years and was responsible for the worldwide fame of the factory. He was professor at the Museum of Natural History in Paris, teaching mineralogy, and he established the basic principles of ceramic chemistry. Along with these accomplishments, he also made contributions to science by introducing a new classification of reptiles and contributed to stratigraphy through developing markers which can be used for dating sedimentary rock. Born in Paris, France on the 5th of February in 1770, Alexandre Brongniart was the son of Anne-Louise Degremont and Alexandre-Théodore Brongniart who was a distinguished architect in Paris. He studied at the École des Mines before moving to the École de Médecine. He became an assistant to his uncle, Antoine-Louis Brongniart, a chemistry professor at Jardin des Plantes. This was one of Alexandre’s earliest exposures to the field of chemistry and sparked his interest in this science. While he was the director of the famous porcelain factory, which is still in operation, he married Cecile, the daughter of Charles-Étienne Coquebert de Montbret, who was a statesman and a scientist. They had one son, Adolphe-Théodor, who became a paleobotanist and botanist. Brongniart gained more experience of chemistry when he served as the assistant pharmacist for the French forces in the Pyrenees. In 1794, he returned to Paris and was appointed as a mining engineer. Three years later, he became a professor at the École Centrale des Quatre-Nations, teaching natural history. Brongniart travelled abroad and he visited England in order to learn about their ceramics techniques. He travelled to Western Europe and published his own geological papers about areas including Italy and Sweden. In 1800, at the age of thirty, he became the director of the Sèvres porcelain factory. This was a post he had held until his death in October 7, 1847. Under his direction the factory flourished. Soft-paste porcelain was quickly abandoned and the formula for hard-paste porcelain improved. More effective kilns were introduced and many new shapes, patterns and colours were developed. In 1815, Brongniart was elected as one a member of the Académie des Sciences. 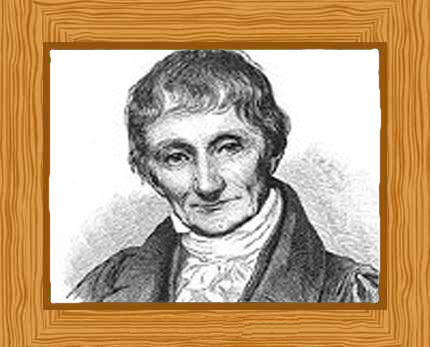 He was appointed as chief mining engineer in 1818 and in 1822, he succeeded the professor of mineralogy, R. J. Haüy at the Muséum d’Histoire Naturelle. While Brongniart left a legacy of contributions to the chemistry of ceramics, other publications focused on his scientific interests. In the field of zoology, his work “Essai d’une classification naturelle des reptiles” was published in 1800. This paper emphasized the importance of comparative anatomy. He was able to divide the class Reptilia, into four more groups; Batrachia (now a separate class, Amphibia), Chelonia, Ophidia, and Sauria. From his studies on reptiles, he noticed how one of the groups, the batrachians, was very different compared to the other three groups. The distinction was especially noticeable in their reproductive organs. Because of his findings, Pierre Latreille later moved the batrachians to their own separate class, the amphibians. In 1804, He worked alongside naturalist Georges Cuvier, who was working on reconstructions of extinct mammals, in the Paris Basin. They worked in collaboration to survey the area and their work helped introduce the concept of fossil dating. They carefully examined the different layers of each sedimentary rock layer (or stratum) for fossils. They noted the different fossils were found in each stratum under alternate fresh water and salt water conditions. This showed that the Paris Basin has experienced many geological changes over time. Together, they published “Essai sur la géographie mineralogiquc des environs de Paris” in Jun 1808, and this paper included a colored and detailed geological map. In 1807, he published Traité élémentaire de mineralogy, a textbook for his students studying minerology. He was able to classify basalt and clay despite the difficulty of distinguishing fine-grained rocks from minerals. The “Tableau des terrains qui composent l’écorce du globe” was Brongniart’s last major geological work which was published in 1829. This work featured the interpretation and ordered classification of rocks. Brongniart’s strati-graphical works was a good principal model which served as the pattern for other geological works in the mid nineteenth century.